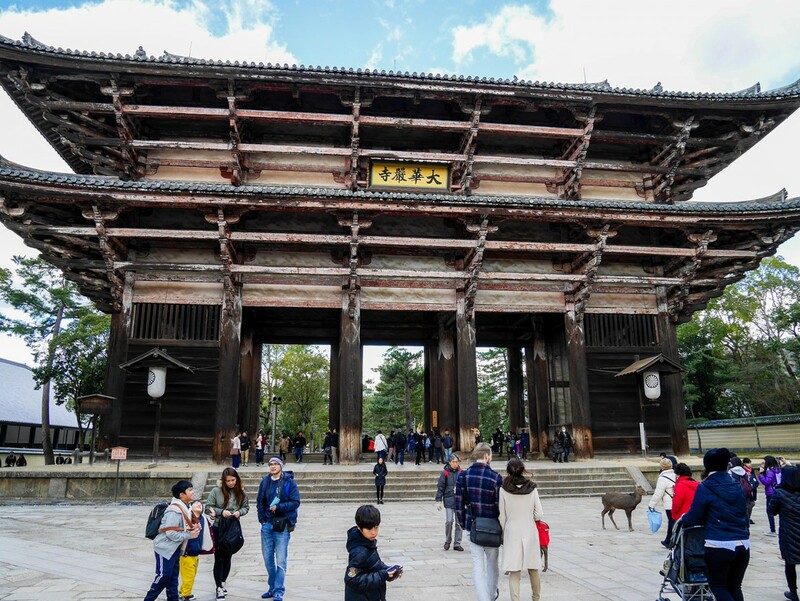 It is winter in Nara, so the light that falls on Tōdai-ji temple is peach colored and hazy with wood smoke from the black steel carts that roast sweet potatoes for tourists. 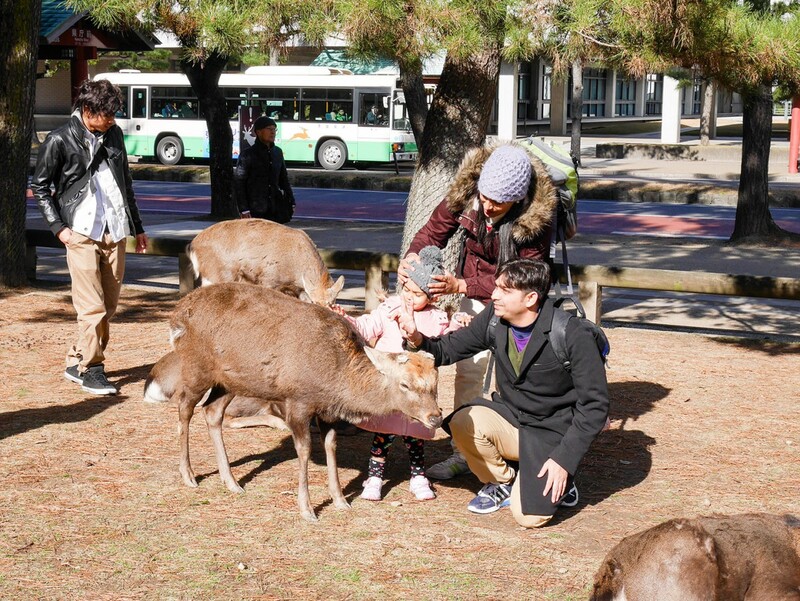 We are among the temple tourists, and we’ve also come to feed the messengers of the gods, liminal deer who inhabit the Nara temple complex. The deer are dun colored and when hungry, position themselves midstream in humanity and nose each passing hand for the hard flat cakes vendors sell to feed them. The deer keep the pale winter grass to stubble and the dirt packed down, and when sated they bed down anywhere and snap at selfie takers who disturb their naps. 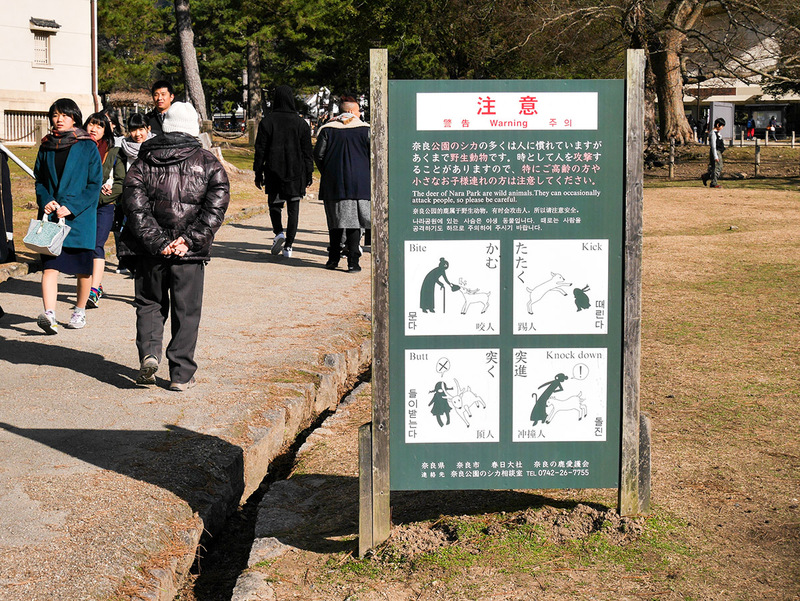 We watch one deer half-heartedly charge a man who must have ignored the signage showing deer biting and chasing the more obtrusive humans. We climb the four steep stone steps and pass under the gate of the Nio, giant wrathful bodhisattva guardians who are said to come alive if an evil hearted human attempts to enter the temple. Our cheeks and noses are red in the winter air and I wish I knew where to find a hot spring. After Tōdai-ji and the world’s largest bronze buddha statue, we’ll have a hot lunch in a steamy cafe that will be almost as soothing as water heated in the center of the earth. 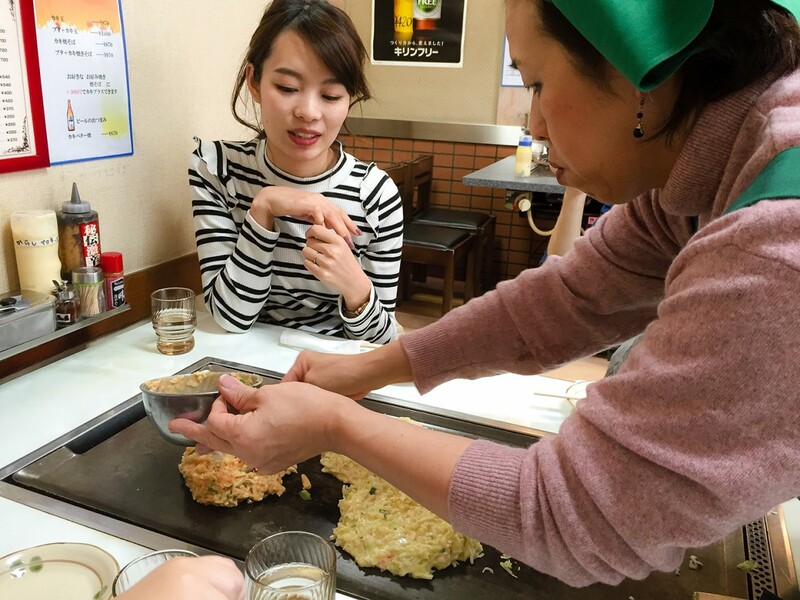 All of the teas in Nara are hot and aromatic, the Okonomiyaki pancakes we will soon eat are comforting, of tranquil but complex flavors: green onion, fresh scallop, sauce like thicker sweeter worcestshire on top of a fried batter of water, flour, eggs, and cabbage. 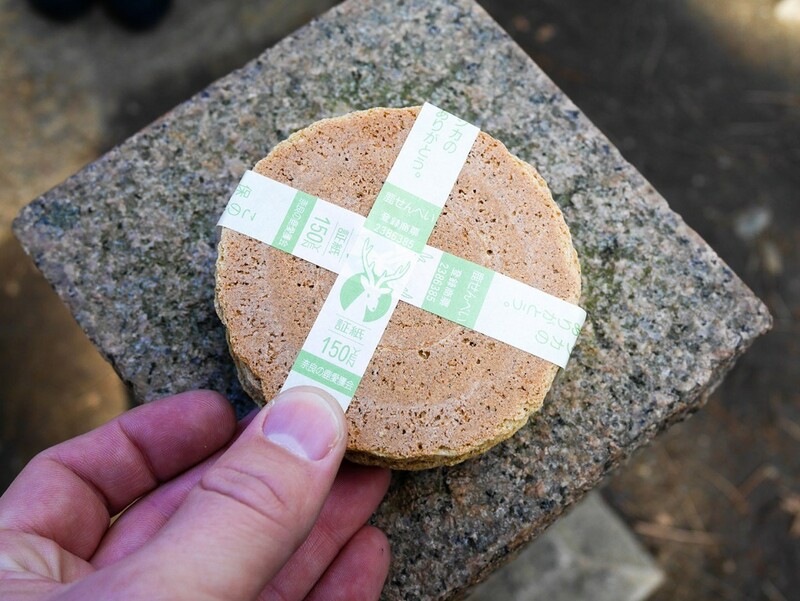 For desert, my sister-in-law Haruka hands me a bite-sized cake from a paper bag, and like many of the cakes I’ve tasted in Japan, it is brightly colored and tastes like Hello Kitty in confection form, yielding to the teeth with spongy, frictionless softness. 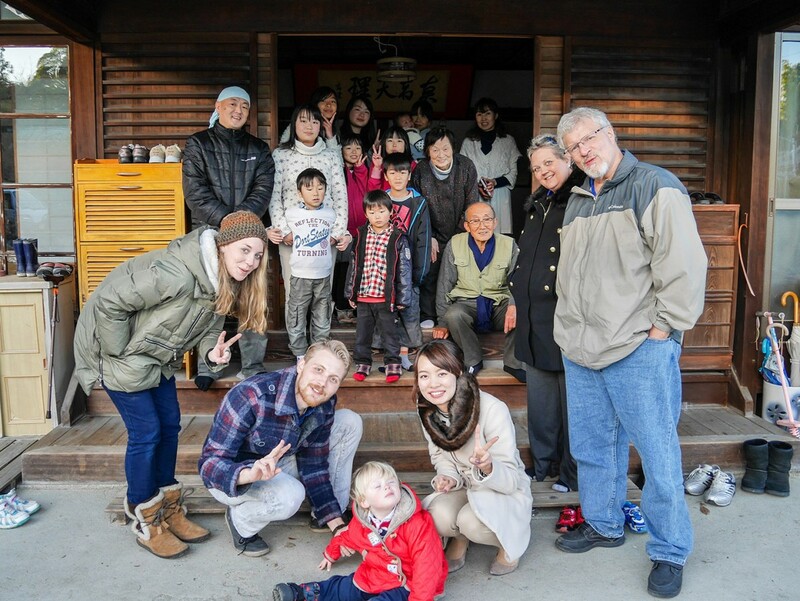 After lunch we drop in at Haruka’s grandfather’s family house where he lives with grandma, Haruka’s uncle, his wife, and their six children. It is a grand traditional structure with a pagoda style roof, connected by wood paneled hallways, sliding doors, and paper framed windows that add softness to the light passing through them. One of the things I love about Japan is that everything is designed thoughtfully and with a clear overall aesthetic effect, whether quirky and cute, traditional and elegant, or sharply modern. This house has been in the family for at least a hundred years, and temple tourists often stop to take pictures in front of it. Haruka’s little cousins stand giggling to greet us and graciously allow Spenny to play with a bat and ball he snatched from their large gravel dooryard. Haruka and my brother lead us to the Tenri worship room where they kneel and clap in greeting to God, and then grandfather takes us across the narrow street to his farm plot, pointing out the mounded rows of cabbage, green onions, yellow fruited pomelo trees, and the patch where strawberries used to grow before the neighbors’ gifts of bumper crop extras made it pointless to grow any more. My brother Spencer and Spenny his namesake peer into an empty doghouse meant to scare away rabbits. Spenny wonders aloud if there are ghosts inside. The peach light has saturated and run orange by the time grandfather closes the gate behind us and locks it to keep out the deer. Spenny follows, running up behind him to pat grandfather on the back of the leg (Spenny has uncharacteristically taken to grandfather–he usually pretends to be asleep around new people), and I hope that grandfather isn’t offended as he has to stop short when Spenny runs laughing in front of him. Grandfather’s face is solemn but so benign that I don’t worry for long. The cold blue haze bleeds into the sky and turns it dark above the last bright swaths of pink and orange, and we are glad for our coats and scarves, gladder still when we climb into the warm car. Yesterday we ate kobe beef, the likes of whose marbling I have never seen before and may never see again, and were treated to the company of Haruka’s warm family. Tomorrow they will show us how to pound mochi, and will host us at a New Year’s party. I’m practicing the greeting. 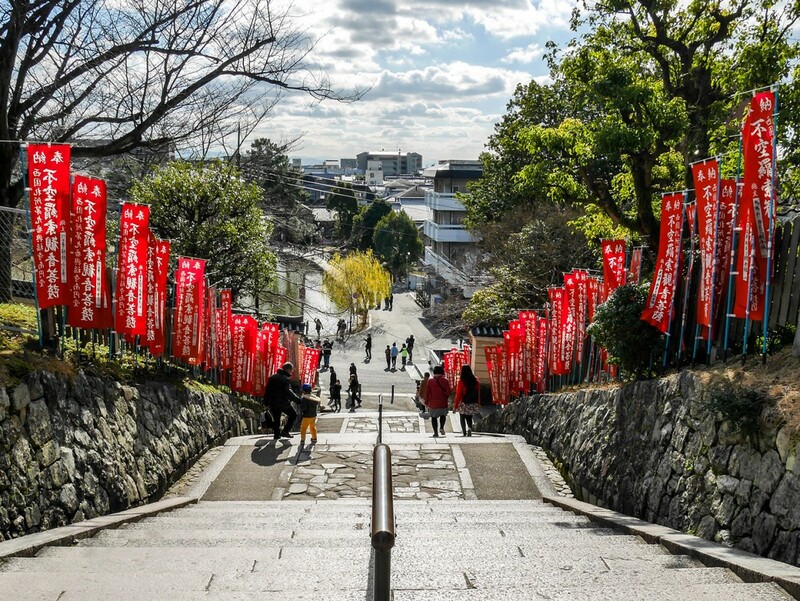 Akemashite omedetou gozaimasu, congratulations on the opening of the New Year. If you’re reading this I wish you a New Year full of comforting food, heavenly cervine messengers, and the grace of the Japanese. Wish you were here.